After yesterday’s announcement from NVIDIA, we finally know what’s coming: the GeForce RTX 2080 Ti, GeForce RTX 2080, and GeForce RTX 2070. So naturally, after the keynote in the Palladium venue, NVIDIA provided hands-on demos and gameplay as the main event of their public GeForce Gaming Celebration. 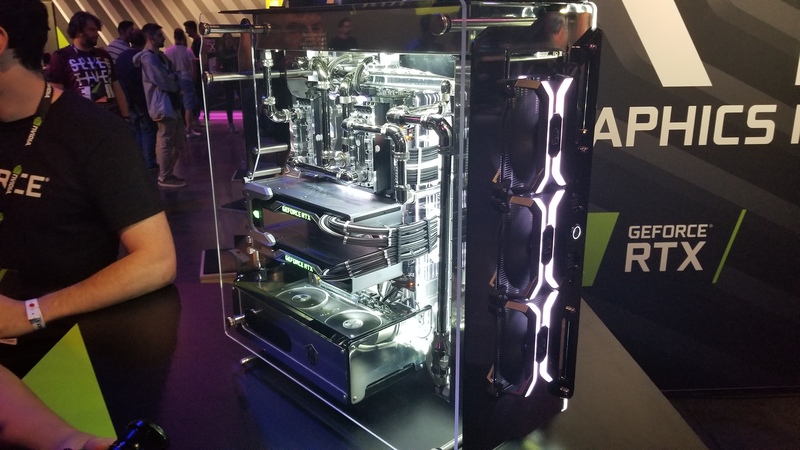 The demos in question were all powered by the $1200 GeForce RTX 2080 Ti Founders Edition, with obligatory custom watercooling rigs showing off their new gaming flagship. 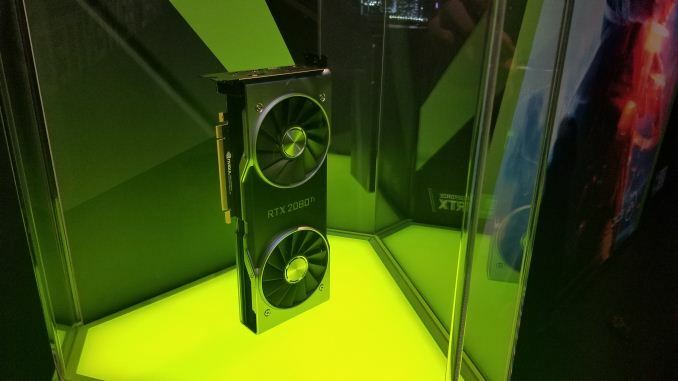 While also having a presence at Gamescom 2018, this is their main fare for showcasing the new GeForce RTX cards. 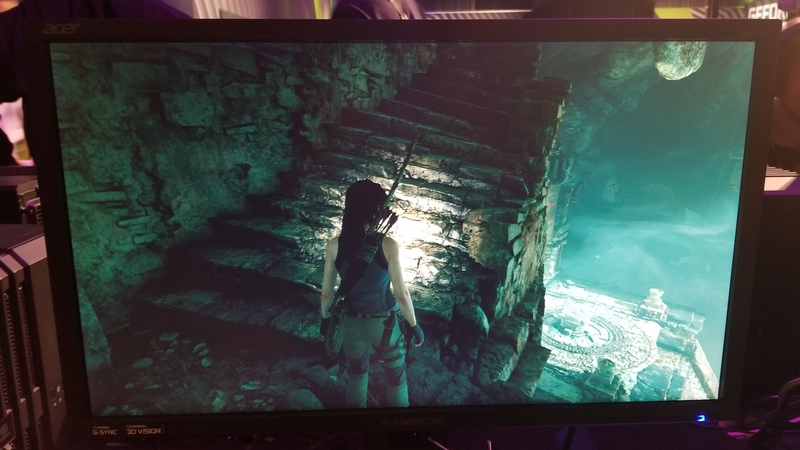 In a separate walled-off area, NVIDIA offered press some gameplay time with two GeForce RTX supporting titles: Shadow of the Tomb Raider and Battlefield V. Otherwise, they also had a veritable army of RTX 2080 Ti equipped gaming PCs for the public, also demoing Battlefield V and Shadow of the Tomb Raider (without RTX features), along with Hitman 2 and Metro: Exodus. 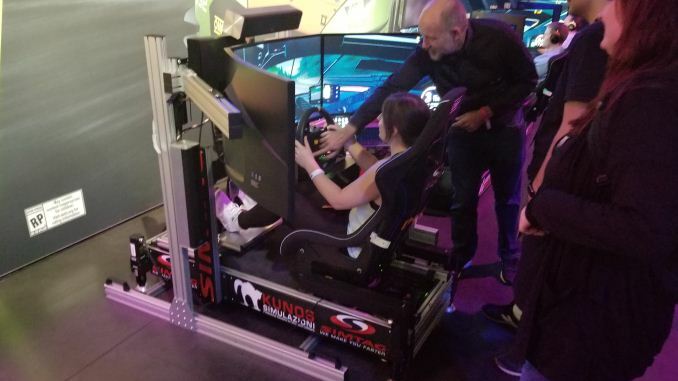 Additionally, there were a few driving simulator rigs for Assetto Corsa Competizione, including one with hydraulic feedback. These games, and more, support real-time ray tracing with RTX, but not necessarily Deep Learning Super Sampling (DLSS), another technology that NVIDIA announced. Starting with Shadow of the Tomb Raider, I got to play through a platforming puzzling sequence that was amusingly difficult to navigate. I thought I was just bad, but the neighboring gamer fared just as poorly and we ended up trading tips on each successive obstacle. Poor skills aside, the game was rendered in 1080p and capped at 60fps with the graphics settings locked, but I could definitely notice framedrops, even though the gameplay was rather slow-paced. The game was rendering an outdoors scene, but because of the 1080p quality on a roughly 24” screen, I couldn’t see much of an overall quality improvement. Unfortunately, I didn’t realize until afterward that we had the option of capturing our footage, though honestly I’m glad no one was subjected to a video recording of my gaming incompetence. Because we only had a certain allotted time, we didn’t get to finish that puzzle sequence, but from a real-time ray tracing perspective, it was hard for me to distinguish any added effects. It appears that this opinion was similar enough to others’ that the Tomb Raider Twitter issued a clarification. 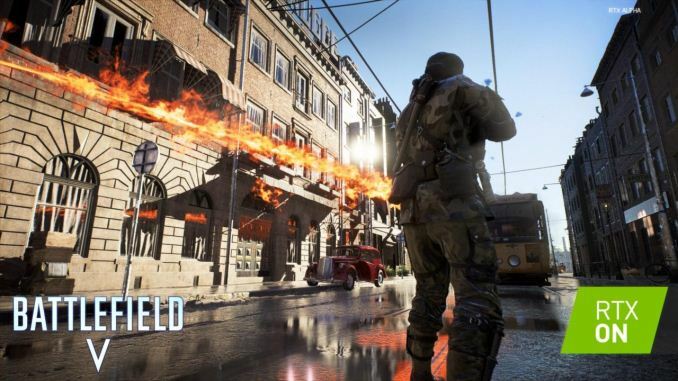 For Battlefield V, the situation was similar with a 1080p 144Hz monitor, playing on the Rotterdam map over LAN. There were framedrops during fast-paced scenes and in general it didn’t seem like it could keep up with the game. 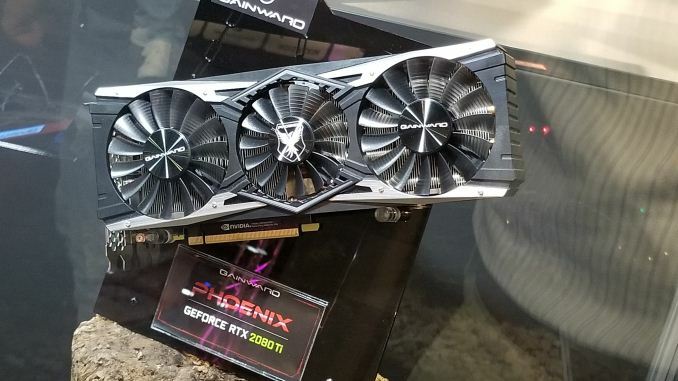 Again, there was no FPS info available but the RTX 2080 Ti was almost surely not cranking out constant 60fps. Here, the real-time ray tracing was quite noticeable, with vivid dynamic reflections in puddles, windows, and river. Even at 1080p, those features added to the overall image quality, though the ultimate performance cost was unclear. Framerates aren't a good tradeoff for image quality in fast-paced FPS', though for the record, I’ve always been terrible at shooters (except maybe Halo 2). While the in-game real-time ray traced footage trailer is obviously putting the game and RTX in the best light possible, there is visible merit in explosions and lighting being reflected where they should. This time around, recorded gameplay footage could not be published until a later date, so words are all we have. I also tried out Assetto Corsa Competizione on the rig with hydraulic suspension feedback, the whole setup being apparently worth over 40,000 euros. Only to find out what I already knew: I can’t drive a racecar (or non-automatics). 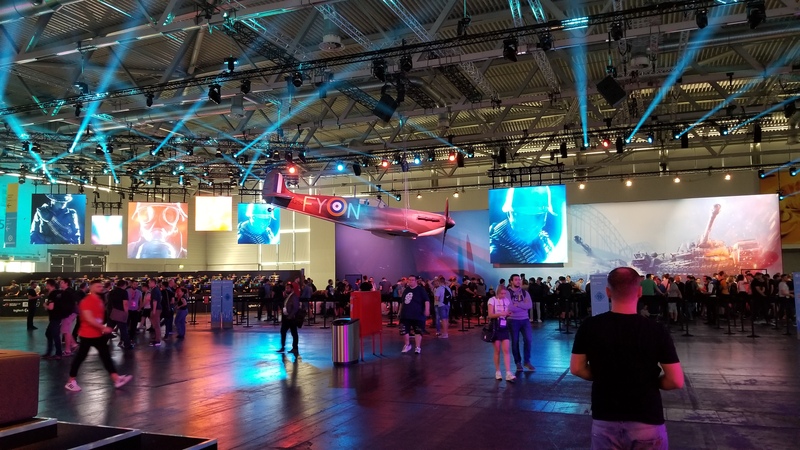 The game is less intensive than Battlefield V or Shadow of the Tomb Raider, and on that note I didn’t notice any framedrops as I was half-racing half-crashing around the track. 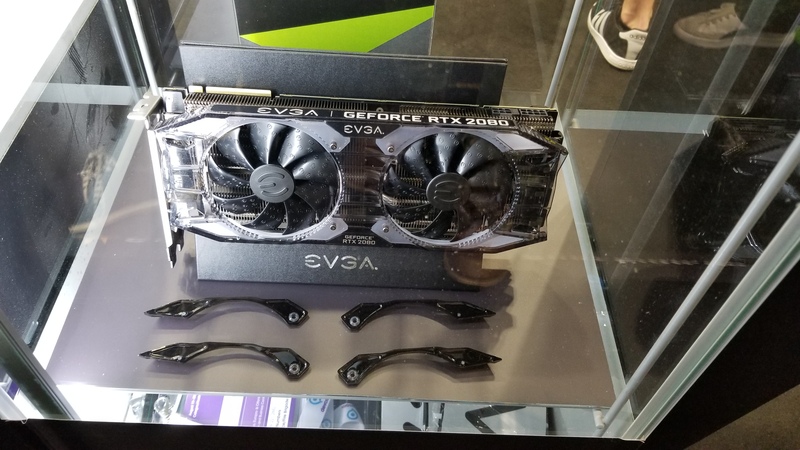 In Gamescom proper, there were a few GeForce RTX 20-series AIB cards on display, including EVGA and Palit/Gainward. 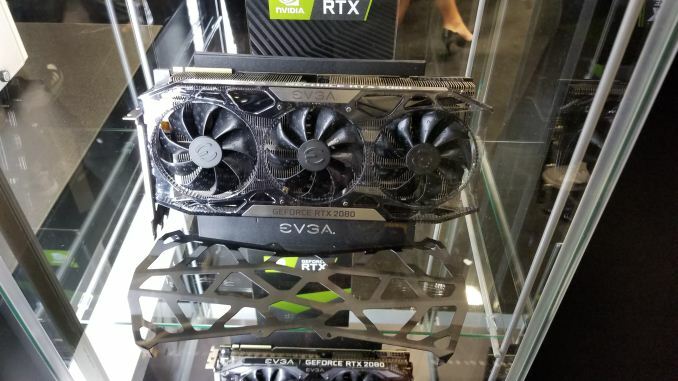 The Palit/Gainward representative mentioned their custom cards would be due mid-September, and that they had yet to start shipping, an interesting but unsurprising tidbit considering NVIDIA had just announced a firm date. 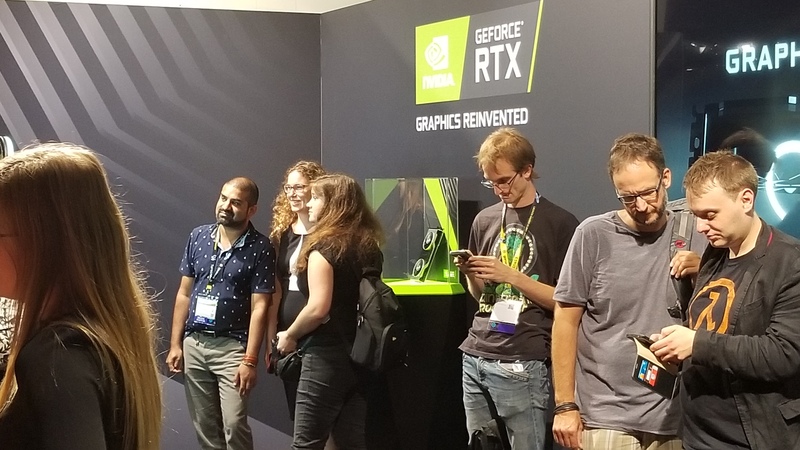 NVIDIA even had a Gamescom booth with just the GeForce RTX 2080 Ti in a glass display stand, meant for photo ops. People got an NVIDIA RTX T-shirt out of it but it was somewhat amusing to see people line up to take a picture with a graphics card in the middle of a million public gaming demos. So my take DXR/RTX confusion: DXR is ray tracing API, an extension to MS DX12 with full interop with raster pipeline. MS will support DXR with a compute shader fallback layer, so devs can ship DXR effects to all DX12 class gpus. 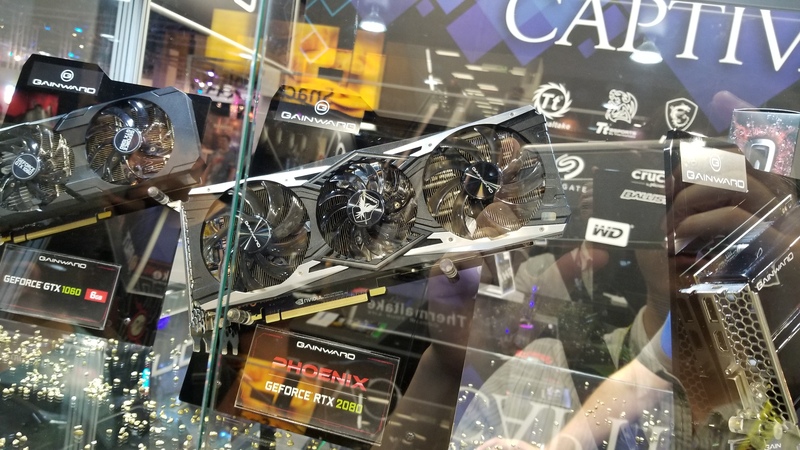 RTX is an implementation of the DXR API by NVIDIA (with dedicated HW elements in the ASIC). RTX is only supported on Volta and Turing, Pascal has to live wih the fallback path. AMD made no annoucment about their level of support regarding DXR. Well even with the latest RTX card it sounds like realtime ray tracing is still knocking performance down substantially. Cherry picked 1080p demos that aren't smooth, ouch. Then you've got yet-another-propietary-supersampling method from Nvidia. I guess they had to figure out something to do with the AI block for their gaming cards, rather than let it sit dormant. Let's hope this SS method doesn't damage image quality.